Many of us shop at Costco and Sam’s Club to save on regular household purchases like food, personal care items, clothing and more. But everyone doesn’t know they offer savings on items and services you rarely purchase but are costly. We took advantage of one of those services and not only saved money but had a great service experience. My husband’s hearing was not perfect thanks to childhood illness and probably loud music when I met him but it had really declined in the speech range during the past several years. It got to the point where we would get irritated with each other due to unheard or misheard communication. I would also have to step in and answer for him in public because he would frequently not realize people were speaking to him when dining out or in retail stores. 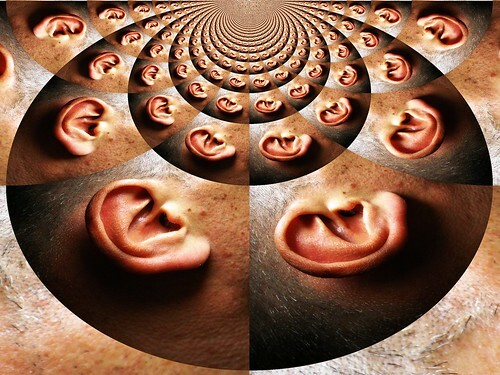 At my urging he visited his physician, had a hearing evaluation and learned that the only solution was hearing aids. All I knew about buying hearing aids was that they are expensive. That part is true, but all sellers aren’t equal. We waited until the following year to move forward so I could allocate the maximum for the flexible spending account (FSA). Then we made an appointment for the local Costco which has a hearing center. The technician gave my husband another hearing test to determine what hearing aids would work best with his values. She made a recommendation and I was relieved that the price was within the FSA total. The aids were ordered and an appointment was made to get fitted with them a week or so later. My husband has had several appointments since then for adjustments; each time perfecting his use of the devices. A couple of weeks ago the charger inexplicably stopped working and it was replaced no questions asked. There’s a great warranty. If the hearing aid is damaged in any way, it’s replaced at no cost. We’re very happy with our customer experience as well as the end result. No more arguments over miscommunication; or at least not due to mishearing me. Who knew Costco would improve marital relations. Have you taken advantage of unusual services at your big box store? Jai, good thing for you that your neighbor isn’t interested in improving his situation. I used to get complaints about my two kids and noise when we lived in an upstairs apartment. It’s hard to keep them from running! We looked at vacations through Costco. They have some good deals, but so far we’ve only stuck with the basics, like food and toiletries. had no idea they had hearing aids! although i’ve gotten an eye exam there. I have not booked a vacation through them yet, but I think Free Money Finance did recently. I get my exam at my regular eye doctor and just buy glasses there. Never would have thought of looking for hearing aids at Costco. Awesome that they sell them! I was surprised to learn that they sell eyeglasses and contacts too. Between the photo development, gas stations, car tires, restaurant, pharmacy, eyewear and hearing aids… in ADDITION to their regular retail merchandise and their home services (attic insulation anyone?) – Costco definitely has a stake in all industries! Julie, that is so true! We’ve gotten insurance and an investment account both through their Services link on the website. The discounts they can get for their customers is larger than elsewhere because of the sheer volume. That’s great that the hearing aids made such a difference. Someone else I know called them a divorce-preventer, so I think others may have had similar experiences. I haven’t really used Costco for things other than food, photos, contacts, and gas, but I do know that they have a whole bunch of other services! I didn’t know they had hearing aids either. I have seen that they have optical services and have thought about going there when I get new glasses. I also saw they have tires, but so far, I have been happy with Discount Tires. My wife just bought my daughter a pair of glasses and contacts at Costco and saved quite a bit of money. Love that store! Its funny as my sister worked at Costco for a while and I didn’t even know they offered these services.